It’s a new month and that means it’s time to stitch up another block in the 2016 Block of the Month Sew Along with Fairfield World. Block 6 is Diamond Sky. Would you believe that are officially at the halfway point! 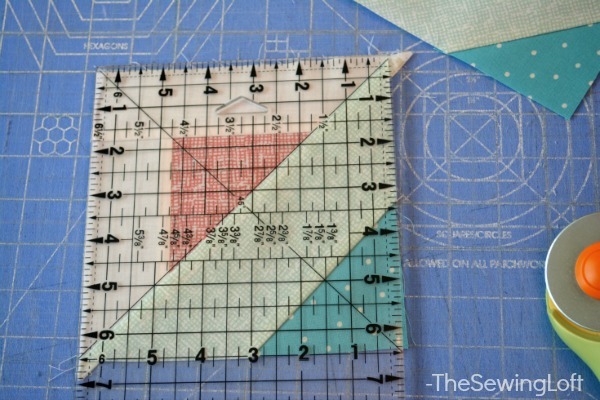 So, if you have been stitching along, you should have completed 5 blocks by now. That’s a pretty sweet stack if you ask me. By far and away, the Diamond Sky is my favorite block of the series! Something about the way things fit together so perfectly just make me smile and that fabric… what I can say, delish! *This post contains affiliate links to products that I own, use and love. 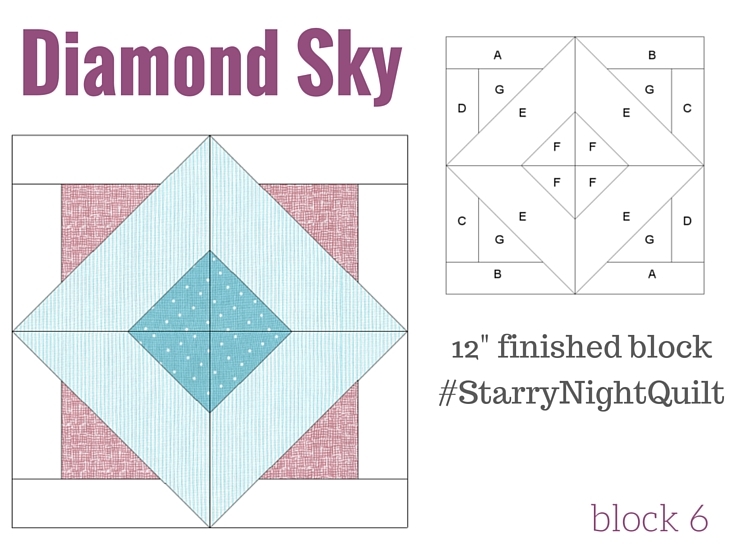 You will need to make 1 of these 12″ finished blocks for the Starry Night Sampler quilt layout. We are working with angles so cutting counts on this block. Take your time during the prep stage. 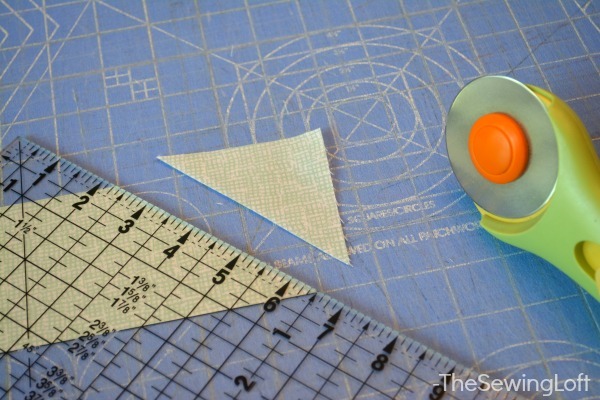 A quilting ruler with 45° like this one will make easy work of the sub cutting process. 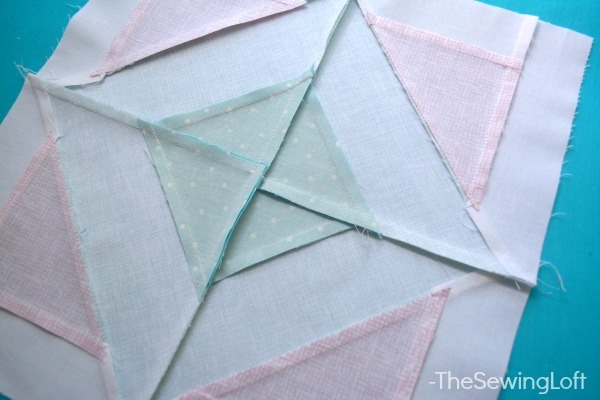 Then use it again to square your blocks by aligning the line along the center seam of block. It’s best to work this main block as 4 smaller blocks. 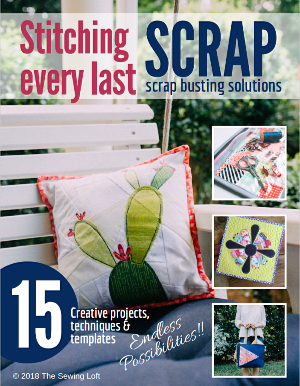 This assembly style sewing will reduce your sew time by half. 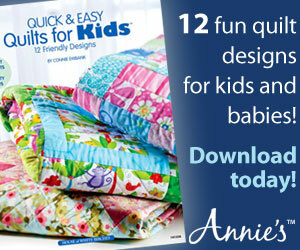 Be sure to nest your seams to prevent bulk and issues during the quilting process. Hop on over here for the full instructions for the Diamond Sky block! 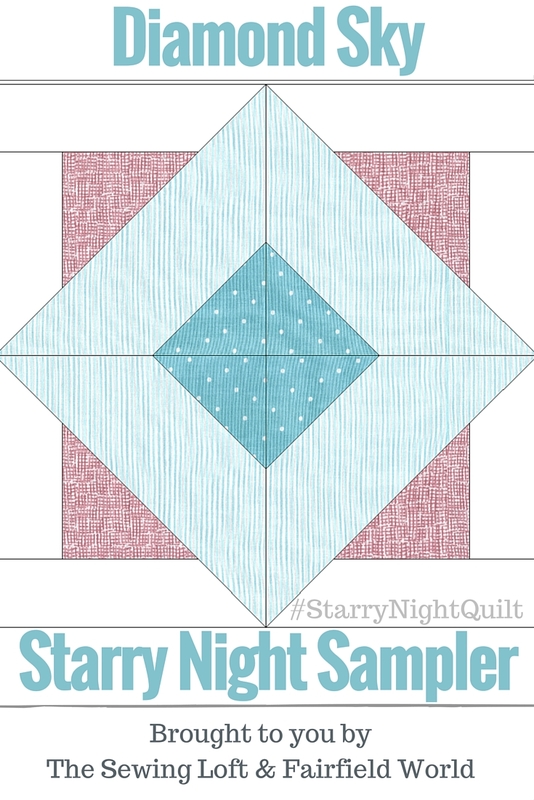 Remember, the Starry Night Quilt Sampler was designed to showcase traditional quilt blocks with a modern twist and I am so excited to see your quilt blocks come together. Be sure to share them on social media using the #StarryNightQuilt for us to see! Well, that’s it for now. Don’t forget that I’ll be back next month with a next block in the Starry Night Quilt Block of the Month series. 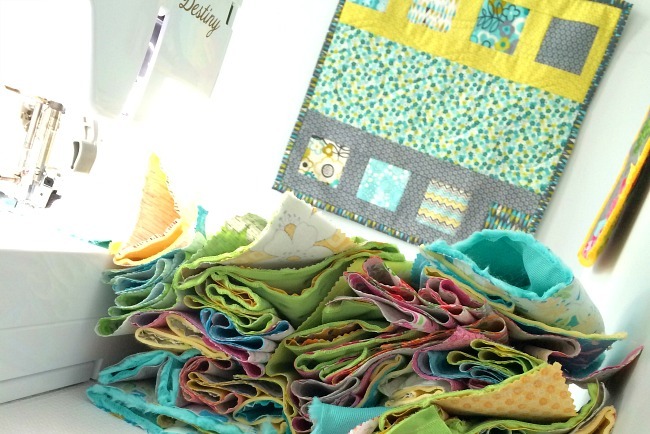 In the meantime, be sure to come find me on social media and share a few pictures of your finished block using #StarryNightQuilt as a tag, I want to see your blocks stitched together! Link to pattern is not working. Says page not found. There was a hiccup on my end but the glitch has been fixed. When I go to the Fairfield site, I get a “Page not found” message. Sorry LJ, there was a glitch on my end but the link has been corrected now. Love this quilt so much! The link for the instructions for the Diamond Sky block isn’t working properly. Thanks. Thank you Mary. Yes, there was a hiccup but the link has been updated. Would love to see pictures of your blocks. Hi Heather – the link for the printable PDF for the Diamond Block is not working 🙁 Regards, Primrose B. Sorry, it looks like there was a hiccup along the way but the glitch has been fixed. It looks like there was a glitch with the link. Everything is fixed now and it should take you direct to the page.